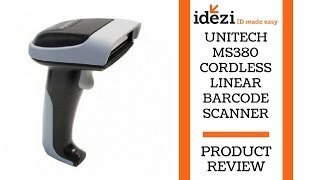 Lightweight and ergonomically designed, the new, wireless Unitech MS380 Bluetooth barcode scanner is perfect for long hours of heavy scanning in various environments. Wireless Connectivity Supports Real-time Data Collection: The MS380 cradle offers more flexibility with its Class 1 Bluetooth module that allows the scanner to roam up to 300 feet from its access point. The MS380 also features a vibrating alert when it goes out of range, preventing data loss. 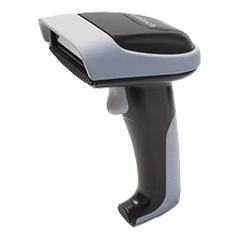 The MS380 offers reliable barcode scanning with a replaceable battery pack that allows the user to scan for more than 8 hours. The MS380 is completely kitted with a USB communication cable and power supply.